UIH operates well-equipped facilities for co-location services. Customers can place their servers, database servers or any high-speed internet equipment for data-center/backup center functions in these facilities and enjoy information security of ISO 27001:2013 standard. Customers of UIH’s co-location services will also get Business Continuity Work Space in events of emergencies, guaranteeing that they will be able to operate just like they are in their own headquarterseven during critical times. Cold Aisle Containment: Such aisle design captures cold air within the facility and helps lower energy consumption. 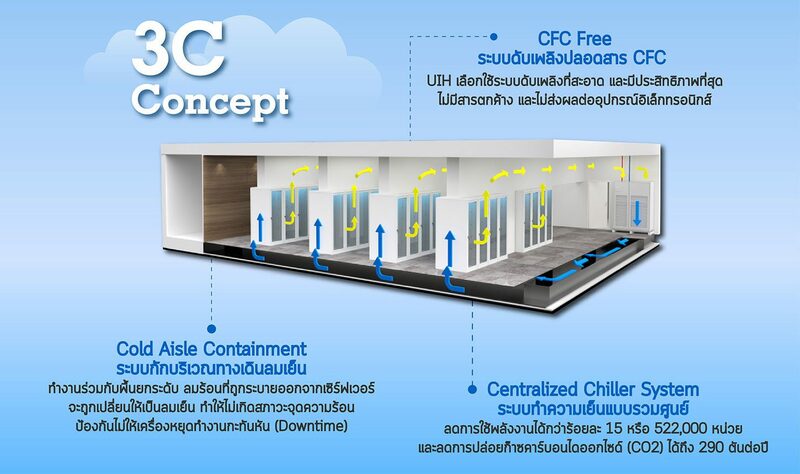 Centralized Chiller System: This system promises efficiency and consistency. It saves energy consumption by more than 15 per cent when compared with special air-conditioning system. 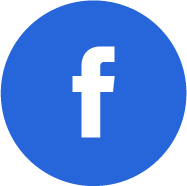 CFC Free: Fire-extinguishing system is free from CFC or chlorofluorocarbons. This means its use is friendly to the environment and safe to all electronic devices. These facilities are located at Benchachinda Building on Kamphaeng Phet 6 Road, and at Interlink building (Nation Tower) on Bangna – Trat Road. Sitting on main roads, both facilities have convenient access and are in close proximity to Thailand’s major airports.